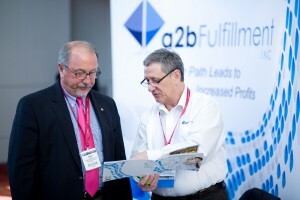 a2b Fulfillment, a third-party logistics provider with a specialty in order fulfillment and value-added services, is a Solution Provider Sponsor at the Fifth Annual Georgia Logistics Summit. 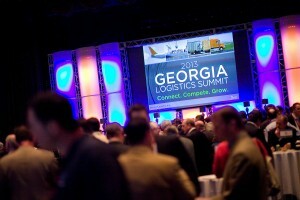 The event is hosted by the Center of Innovation for Logistics on March 19th- 20th in Atlanta, GA. This year’s theme is “Connect, Compete, Grow” and the event will feature an opportunity to meet and hear from some of the newest project locations in Georgia as well as focus on the growth in multi-channel/omni-channel retailing and the impacts of e-commerce to supply chains. The keynote speaker discusses the challenges, opportunities and the future impact of “Multi-Channel Commerce”. This will be followed by a panel of experts to continuing the conversation around the trends and issues for tomorrow’s supply chains. In addition, interactive panel discussions will occur including “New Kids on the Block”, “Ask the Experts” and a “Rapid Fire Transportation Update”. Last year more than 1600 attendees from 28 states and 7 nations attended the Summit. Many industry leaders are lined up for informative and insightful presentation throughout the day. Summit attendees will have an opportunity to interact and share their perspectives on logistics providers, potential service improvements and industry trends.